Libraries have moved far beyond just being book repositories. They’re agile institutions serving real-life needs. Libraries can be key to powering progress and elevating the quality of life in PA by fueling the types of knowledge essential to success: Basic Literacy, Information Literacy, Civic and Social Literacy, Health Literacy, and Financial Literacy. 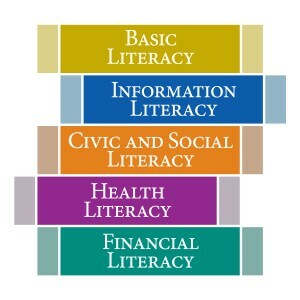 Future posts will address each of the literacies individually. 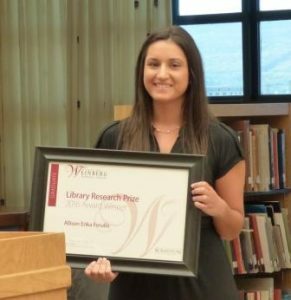 2 Comments on Library Research Prize Winners! 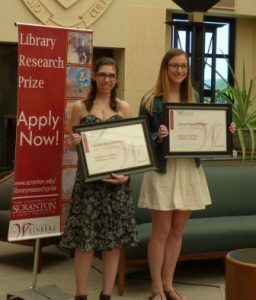 Caroline Swift, an MBA student with a concentration in Operations Management, and Christine Panzitta, a junior Secondary Education/History major, were selected as the 2014 Library Research Prize winners. The Weinberg Memorial Library at The University of Scranton inaugurated the prize in 2011 to recognize excellence in research projects that show evidence of significant knowledge of the methods of research and the information gathering process, and use of library resources, tools, and services. Honorable Mention awards in the Graduate Category included Taryn Anthony, a Chemistry major; Patricia Gelling, an Occupational Therapy major; and a group of Physical Therapy majors consisting of Kyle Corrado, Christine Fischer, Michael McGraw and Kristin Ryffel. Honorable Mentions were also awarded to two undergraduate students—Natalie Della Posta, a Neuroscience major and Stephen Gadomski, an Exercise Science and Sport major. 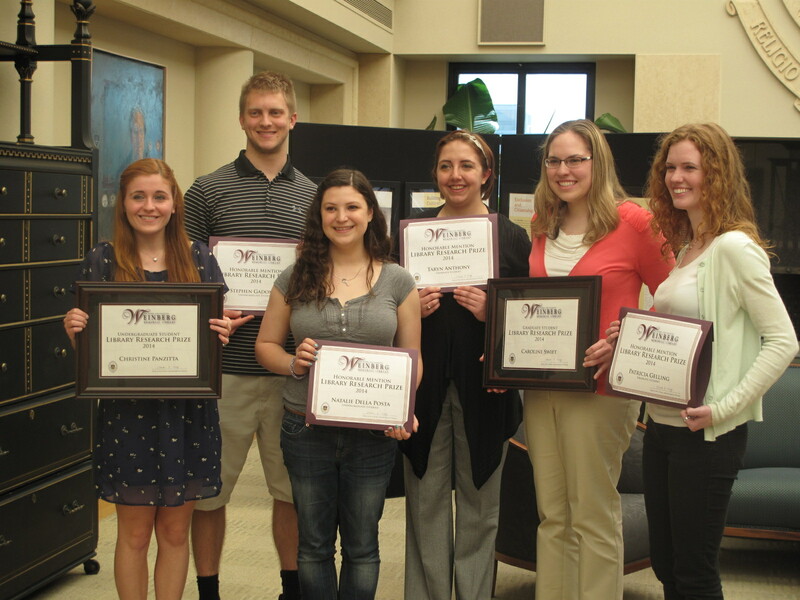 Prize winners were honored at a reception on Thursday, May 8, 2014 in the Heritage Room of the Weinberg Memorial Library. Writing a paper? Doing a project? Tell us about it! RefWorks is a citation manager that helps you to keep your research organized, store documents, and create annotated bibliographies. The University of Scranton has a subscription to RefWorks that is available to all students, staff, and faculty. Dr. Zych’s Capstone Marketing class forces students to learn beyond the classroom (hence the clever name for the program). 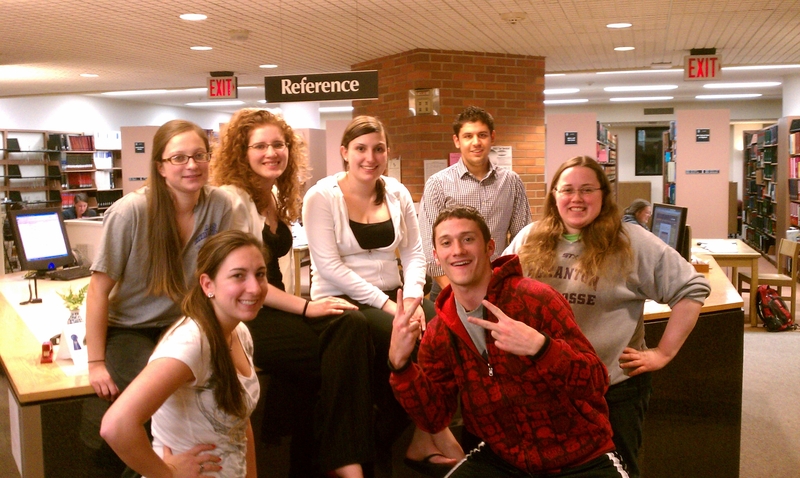 For their final project the “Chrysler 300 team” does work in the library late into the night.